Portuguese is one of the important languages. Portuguese countries are the countries where Portuguese is used for interaction between citizens and government officials. Portuguese countries are the countries where Portuguese is main language. In Portuguese countries, all the official documents are written in Portuguese language. In Portuguese speaking countries, various Portuguese Dialects are spoken. 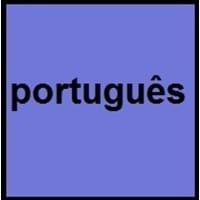 Each Portuguese dialect has it's own pronunciations and words, as a result of these differences, sometimes communication problems arise between speakers from different Portuguese speaking countries. Check out detailed information About Portuguese Language. 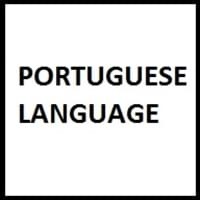 Portuguese speaking countries include both countries with Portuguese national language and Portuguese as a second language. Check if Portuguese language is one of the Most Spoken Languages. Portuguese is national language of Portugal. Compare Portuguese speaking countries with spanish speaking countries on Portuguese vs Spanish. Portuguese is second language of United States of America. The Portuguese countries mentioned under Portuguese Speaking countries are the countries where majority of people speak Portuguese language. Countries with Portuguese as minority language are also included in Portuguese speaking countries. Portuguese is spoken as minority language in Australia, Daman and Diu, France, Germany, Goa, Italy, Japan, United States of America. Along with Portuguese speaking countries check out Portuguese speaking population. The language spoken by minority of the population of a territory is called minority language. Continent wise Portuguese speaking countries mainly lie in Africa, Asia, Australia, Europe, South America. The Portuguese language is derived from Latin and is closely related to Spanish and Galician Languages.